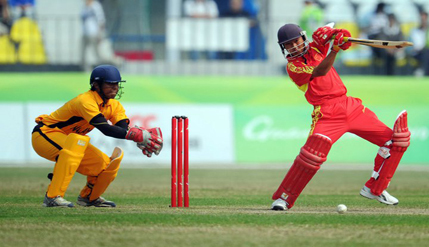 BANGI, 23 Nov. 2010 – Five UKM students are members of the Malaysian cricket team taking part in the ongoing Guangzhou XV1 Asian games which had succeeded in getting into the quarter finals. 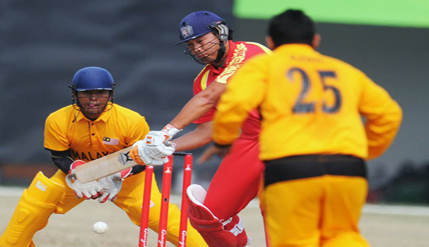 Malaysia was, however, beaten by Bangladesh, a known cricketing nation, in the quarter finals this morning managing only 80 runs against Bangladesh’s 150 runs. Four of the players, Ahmad Faiz Mohammad Noor, Mohd Shafiq Mohd Sharif, Muhamad Nik Azril Arifin and Mohd Shahrulnizam Mohd Yusof are doing their Sports Science and Recreation studies at the Faculty of Education while the fifth player, Aminudin Ramly is doing Business Studies at the Faculty of Economics and Management. The five are also members of the victorious UKM cricket team which is the current Intervarsity champion in the country and was the runner-up to the University of Western Australia in the International Inter-Varsity Cricket Invitational Championship last Aug.
Colombo, Sri Lanka and NED University of Engineering and Technology, Pakistan.